SARASOTA, FLORIDA, March 20, 2018 – Scottsdale, Arizona-based Taylor Morrison sure is one developer keen on Florida’s continuing dominance as a buying destination for retiring baby boomers in spite of a strong challenge from other U.S. markets. This publicly listed company, which has cornered a significant slice of the demand on Sarasota homes for sale, is now compiling an interest list for its planned new neighborhood Eave’s Bend at Artisan Lakes. 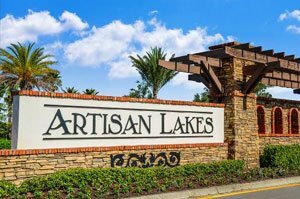 Located in Palmetto, Artisan Lakes already banners the developer’s Esplanade brand geared towards seniors seeking communities providing an active adult lifestyle. Significantly, Florida corners most of Taylor Morrison’s Esplanade locations totaling some 20 sites across the U.S. There are 12 Esplanade communities in the Sunshine State, six of which are spread in the North Port‒Sarasota‒Bradenton metropolitan area. This Southwest Florida metro notably came out No. 2 in a recent industry ranking of the top 10 U.S. markets for baby boomers. This list likewise included neighboring Punta Gorda and three other markets in the Sunshine State. This recent ranking by the website realtor.com was arrived at through an examination of only those metros wherein the baby boomer influx exceeds migration outside. For the results, it compared the percentage changes of the new residents moving in versus those moving out. The top housing markets for different demographics were further determined in the realtor.com ranking through an analysis of 2011‒2015 U.S. Census migration data, page views of the real estate portal, and 2016‒2018 homeownership percentage change as per Nielsen surveys. The top baby boomer markets in Florida, another study by the Pew Research Center shows, offer more competitive home prices compared to Northeastern states. It noted that the $350,000 median home price in the North Port‒Sarasota‒Bradenton area appears more attractive compared to cities like Washington D.C. and Boston wherein median price levels have been estimated at $415,000 and $493,000, respectively. Additionally, Florida attracts migrating baby boomers because it doesn’t collect income tax when its residents from this generation withdraw funds from their retirement accounts. 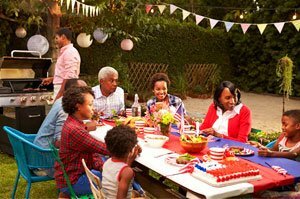 Retirees, moreover, favor the Sunshine State because of its warm weather and its various cities with superb amenities, such as fine restaurants, cultural centers, museums and beaches. 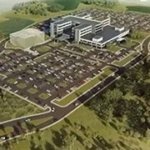 Various Florida communities, particularly those in the North Port‒Sarasota‒Bradenton area, also get the attention of retirees because of many local residential developments suited to the wants and needs of age 55-plus residents. The Esplanade at Artisan Lakes of Taylor Morrison, for instance, caters to this type of buyers seeking to downsize and live in affordable, low-maintenance homes. Newly built residences priced from around the mid-$200s up to the $400s are available in this Palmetto community. These homes range in size from 1,689 to 2,740 square feet designed with two to three bedrooms. Affirming the popularity of the Southwest Florida region to baby boomers, recent sales have been vibrant in this community. Records from the MLS of Sarasota homes for sale indicate turnover of some 40 residences in the Esplanade at Artisan Lakes in the 12-month period ending mid-March. With such a market absorption, it comes as no surprise that Taylor Morrison has come forward with its new project, Eave’s at Artisan Lakes. This neighborhood is set within a 66-acre site which the developer purchased in June last year at the sprawling Artisan Lakes property which now looms as yet another epicenter for baby boomers migrating to Florida.